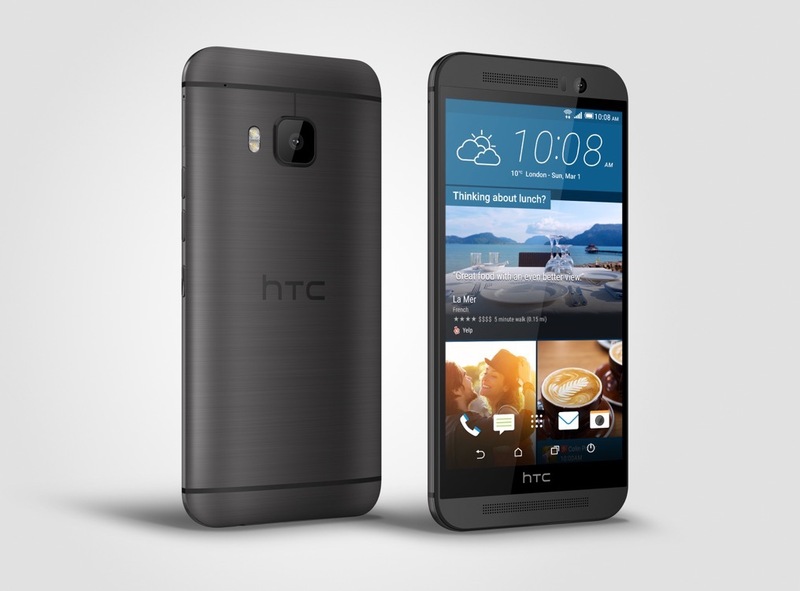 According to overseas site Tweakers, it appears the HTC One M9 and GFXBench don’t mix. GFXBench is a popular benchmarking app, which is run on most flagship devices, just for the simple gratification of comparing devices to one another. Unfortunately, as seen in the thermal image below, the One M9 runs insanely hot in comparison to other devices running the same exact app. 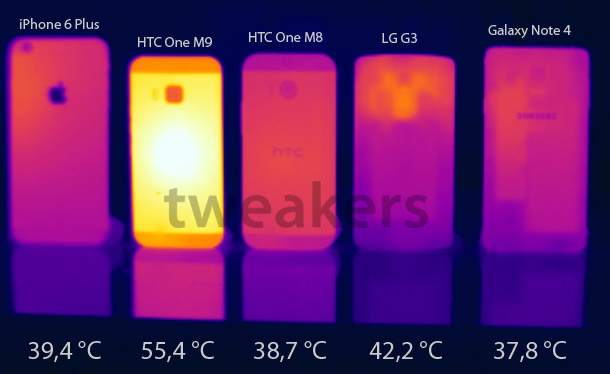 As seen in the image, the One M9 peaked at 55.4 degrees Celsius, which equals over 130 degrees Fahrenheit. To the human touch, that could easily be enough to leave a mark. If you compared regular bath water, 120 degrees Fahrenheit is considered to be scalding, enough to damage human tissue. Inside the One M9 is a Snapdragon 810 processor, which has been reported countless times as having overheating issues. While even OEMs claim the processor does not overheat, the image above could be explained by excessive testing, unfinished software, and the Snapdragon 810. Even though the One M9 looks like the sun when compared to last year’s M8, LG G3, and Galaxy Note 4 in the image below, it needs to be noted that the device is likely running non-finalized software. Tweaks can easily be made to the device to not allow temperatures to reach these heights, however, Tweakers reports that no internal mechanism was in place for the device to shut itself off when these temperatures were met. At the time of release, we do hope HTC has fixed this issue. If I could make one suggestion, it would be to wait for sites to get their hands on finalized products, then wait for reviews to see if this phone is right for you. If you purchase any device on day one, then run into an issue such as this, you would not be a happy consumer.